Dear all, this is a massive thank you to all of those who are associated with THHN. You made our week in Torquay magical, despite the bad weather. Everyone was so kind and understanding, it really showed us that there are some genuine people out there, for which we cannot thank you enough!!! Two years ago, Lottie, our daughter who is now 10 years, was a normal girl doing really well at everything, the ideal child and pupil, top in her class into her sports, like swimming and running, an all round top kid, chosen by a talent scout to take part in a government run dancing school. Then in the October 2007 half term break all of a sudden she started to walk funny and started falling over, chipping her front tooth, she also started having terrible mood swings ,being a secondary teacher I knew it was probably too early for the dreaded hormones and I just knew something was not right, so we took her to our doctor, she was referred to a specialist and had an urgent MRI done, on the Thursday we went to find out the results and Lottie was rushed straight into hospital that night, having been diagnosed with two conditions Chiari malformation type 1, a genetic birth brain defect. In normal anatomy, the cerebellar tonsils are located just above this line called the foramen magnum. But in an individual with Chiari, the tonsils hang below the line (herniate) into the spinal canal (the base of the brain grows down). This had then caused a secondary condition called Syringomyelia. Syringomyelia, often referred to as SM, this is a chronic disorder involving the spinal cord. The condition occurs when cerebrospinal fluid (normally found outside of the spinal cord and brain) enters the interior of the spinal cord, forming a cavity (cyst), known as a syrinx. Unfortunately in Lottie’s case her syrinx was already the whole length of the spinal cord, normally a cyst or syrinx is considered huge if it is 4 vertebrae. There are lots of symptoms to these two rare conditions ranging from chronic pain and fatigue to paralysis. Lottie’s right foot was already paralysed (within weeks). From the Leicester Royal Infirmary Lottie’s scans were couriered straight up to the Queens Medical Centre (QMC) in Nottingham, where we followed the following morning. Her operation was scheduled for the following Tuesday (they had to get a team together). We will never forget talking to the doctor about her operation. It was risky brain and spine decompression surgery, but we were told without it she would die, so we had no choice. After that we had a terrible time. Lottie had various complications, mainly pain, which neither we nor the doctors could control. We were in and out of hospital mainly with the fact that Lottie’s brain kept going into spasm and she was put on various medication to try to stop this to no avail, she was rushed into hospital on Christmas day and a ct scan showed she had had a bleed on her brain. Again we were told the worst. Eventually when her consultant came back from vacation she was put on the correct medication and Lottie now started to get better. Although it has been a long and painful journey, through which we are still travelling… We have had a terrible time with her conditions because they are so rare and advanced, especially to be found in a child. We have since been told various things that she would need more surgery, and then she would not, mainly because any further surgery is so risky, it has to be a case of only if…Our lives have been turned totally upside down. It is only now, 2 years on that Lottie’s has finally grown 1cm and has finally put on some much needed weight. She is thin now but she was over a stone and a half thinner before the summer. Unfortunately her syrinx has only gone down by 2 vertebras, (the surgery is to collapse it, by allowing more round for the fluid to disperse) and that fluid has formed two cysts at her operation sight at the base of her brain, so the future is still uncertain. But, to look at her some days she looks like the living dead and other days you would not know there was anything wrong with her. As anybody who has a sick child with a rare life threatening condition knows, everything becomes a fight, as you go from crisis to crisis. I have had to give up work as a teacher, so you can imagine life that has already been made hard emotionally, is now also hard financially. Lottie also has a younger sister, Jessica, now 8 years. But at the time she was only 6. Lottie’s condition has had a massive impact on her life. Lottie cannot always control her mood swings and her pain at times is often unbearable. Jessica has tried to understand these dreadful conditions, but it has been hard. Before Lottie was ill they were so close. Both girls were told too much by doctors and have been traumatised by Lottie’s condition, despite our best efforts. So when we were offered this break, I was a completely blown away. We were offered the holiday via a lady from Camp Quality, who had been contacted by a lady from NACCPO, having been contacted by Luke the founder. I was so embarrassed, because when I spoke to Luke I could not stop crying. We were given a week at the Vomero villas in Torquay, owned by Angela and John. We arrived there on the Saturday later than we thought and were so warmly greeted by John and Angela; they were so kind and are such wonderful and genuine people. On our arrival, they showed us around our apartment and had even brought gifts for the girls and us. (Most people forget the other child, so this was really appreciated). The next thing we knew was that we had food hampers from : A.W.Luscombe Butchers Traditional Butchers Totnes, who sent us so much meat and eggs, your sausages went down a storm, thank you, G B Fisheries St Marychurch, Torquay, sent us some gorgeous fishy treats such as homemade pie, quiches etc, all were devoured and Riverford Home Delivery also sent us two wonderful hampers including organics fruit and vegetables and eggs and milk. I think it is fair to say that we have never eaten so well for a long time!!!!! 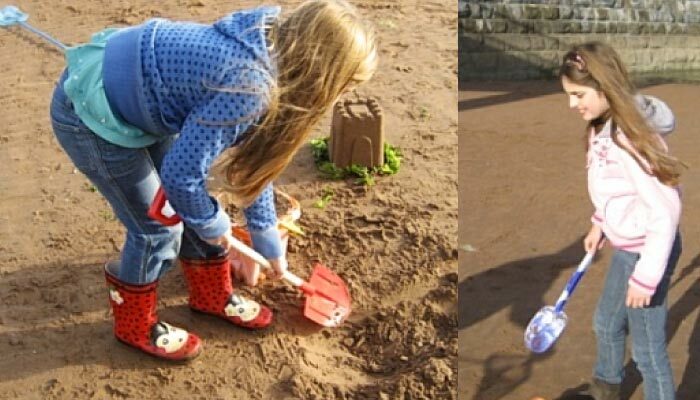 After we unpacked we enjoyed a trip down to the beach, where the girls made sandcastles, with buckets and spades supplied by Angela and John. On Sunday we went to Paighton Zoo, which was fantastic, especially for Lottie and Jess! Then we had a wonderful evening meal at Luke’s family hotel “De La Mere”, everyone made us so welcome, so much so that despite being tired the girls wanted to stay for the entertainment. Luke you are a lucky man having such a close and wonderful family around you from your grandmother, to your mum and dad to you and Suzanne were so welcoming. We could not get over the fact that you are doing all this with a new addition as well as a toddler. On the Monday we went to the Plymouth National Marine Aquarium, which was fantastic, Lottie and Jess drove the ROV, again everybody there was wonderful and we felt like VIP’s. Afterwards, when it had stopped raining we did a mad dash around Woodlands, where Steve was like a man possessed pushing Lottie around in her wheelchair to do all the rides in record time!!! Again, it was fantastic and we did not have to queue as because of the weather there was nobody there bar a few families!!! Lottie made me age by a further 10 years by going on the Avalanche with her dad!! I know she is brave, but again she amazed me. Unfortunately Steve could not get any more time off work so he had to go back home for Tuesday. But my mum came down to have some quality time with us. My mum has been our rock, she has been strong for us and living only 2 minutes walk away, she has helped us on every level. The rest of our family and friends have been wonderful too, but it is only at times like this that you find out who your true friends are. Whilst Steve was leaving and mum was coming we had Tuesday as a rest day, for Lottie to. The girls had just as much fun being away from home and Angela and John have a kiddie play area at the apartments stacked with toys and DVDs etc which the girls loved!!! It was like their own personal stash as we were the only family there with their kiddies that week!! After that we went to Kent’s Cavern, one word, Magical including the staff!! After the girls had a manicure, which was wonderful and then we had a real treat, the most delicious afternoon tea at Angel’s Tearooms. None of us could eat it all bar Lottie!! We never got a chance to thank Luke’s sister for that as she was busy with her little one, so a massive thank you, to you too… We also went to see Gotta sing, Gotta dance at the Princess theatre in Torquay, which was the best show I have seen in a long time. The cast were so talented!!! On the Thursday we drove to the Miniature Pony centre, which the girls loved, especially the pony ride!! After such a hectic week we really enjoyed our take away from Hanbury’s. Ed was wonderful to us and his fish and chips are out of this world!! Our last destination was the Model Village which comes highly recommended especially their 4D theatre!!! All in all we had the best week ever, everyone was so wonderful and nothing was too much trouble. Words cannot express our thanks to all those involved with this charity. When life has been so hard and you get so used to everything being a battle how refreshing to meet genuine people who do not treat you as different. This time away has given us a renewed strength; and given us the necessary break to be a family and create some wonderful memories, so for that and all of those involved, we thank you from the bottom of our hearts.